Have you been naughty or nice with your skincare this year? Personally I like to think I've been very nice. My skin has been looking better than ever, to the point where I am incredibly comfortable leaving the house with no makeup on if I really need to. Obviously there is still room for improvement, but I've definitely made progress. I've experimented with a few different types of products this year, and made the effort to stick to a routine that works well for me. 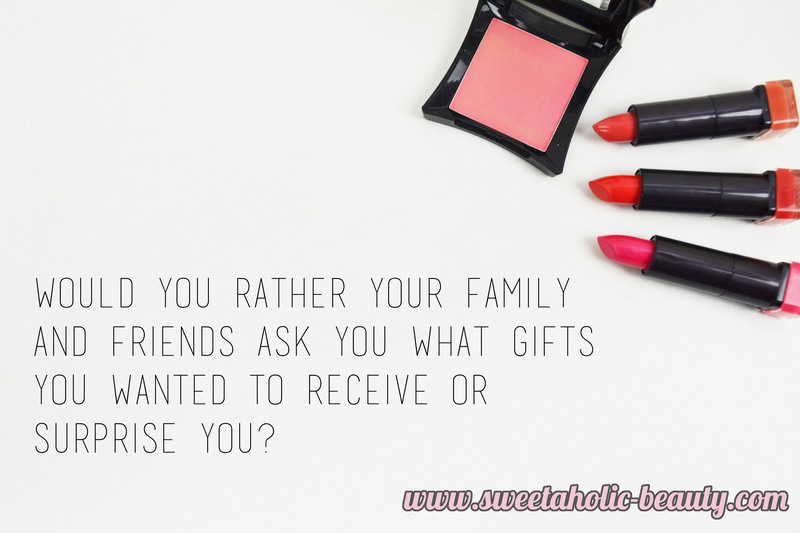 What's the go to beauty, skincare or makeup product you would gift to family and friends? 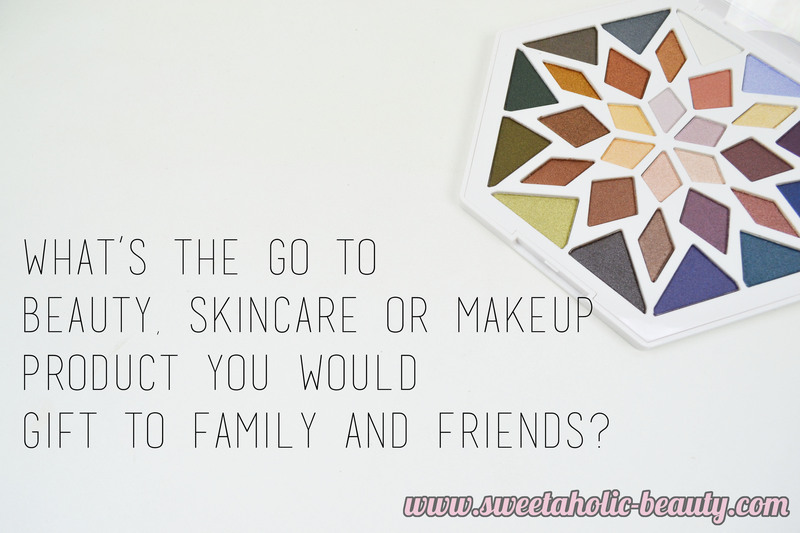 That's a really tough question as most of my family and friends have very different standards for beauty and cosmetics - so I would want to find something to suit them. But if I had to pick an all around product that I think works for everyone, I would either opt for Fixaderm or Egyptian Magic Cream. 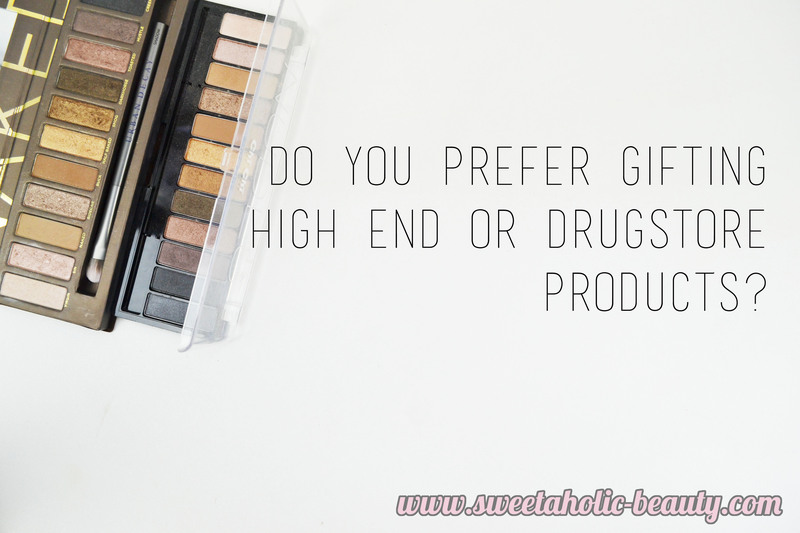 Do you prefer gifting high end or drugstore products? To be honest it's a bit of a mix. I'm not a snob when it comes to cosmetics and skincare. I will use what works for me, regardless of the price tag or brand name. The same goes for gifts I suppose. If I know my friend or family member will like a product I will buy it for them, and not worry so much about the brand behind the product. 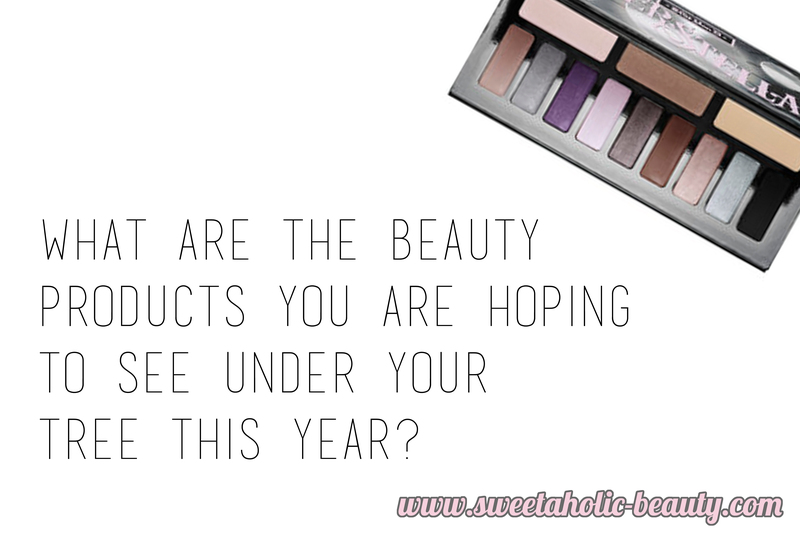 What are the beauty products you are hoping to see under your tree this year? Honestly I know I won't be getting cosmetics as most people know that it's better to let me get my own cosmetics, just in case. But I do have my eye on some Kat Von D palettes in Sephora, so I'm hoping I might get a gift card or some cash. Oh and some Tarte blushes wouldn't go astray either. 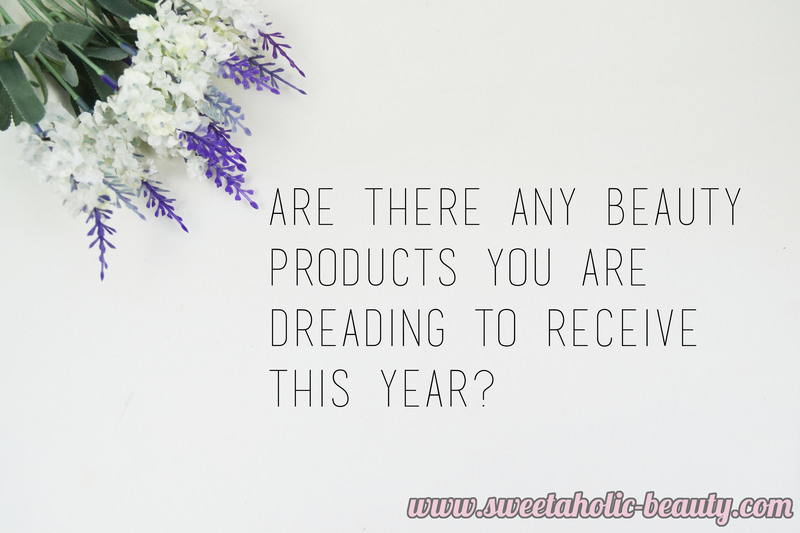 Are there any beauty products you are dreading to receive this year? Not in particular. Sometimes I find it a bit awkward if somebody buys my skincare from a brand I don't exactly like, but that doesn't happen too often. I'm usually happy with anything I receive, and if it's something I know I definitely won't like or won't work for me, I'll usually pass it on to somebody else. 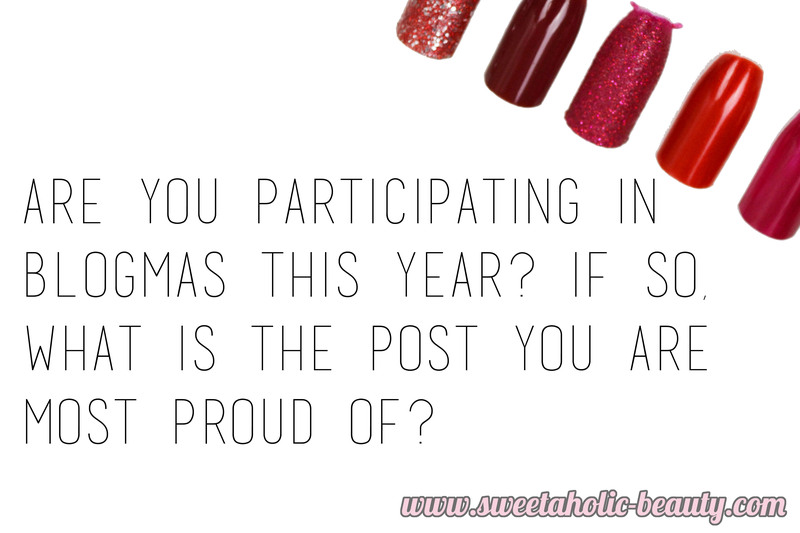 Are you participating in Blogmas this year? If so, what is the post you are most proud of? I'm not actually participating in Blogmas this year, but it is something I might consider doing something in the future. I am trying my best to stick to my schedule this month though, so one of my proudest blog posts from the month would probably be The Perfect Red Nails. I absolutely cannot remember. Being a girl I probably would have received all kinds of perfumes and nail polishes and kiddy makeup growing up so I really couldn't say. However I know from a young age I did love makeup so I'm sure I would have loved it. Colour Theory have some great mini lip glosses out this year for Christmas, as does Australis. You can never go wrong with one of the Benefit packs that usually always includes mini products too. There's also a great Savvy by DB mini lipstick collection floating around too. Would you rather your family and friends ask you what gifts you wanted to receive or surprise you? I'm perfectly happy either way. I know that friends and family can get a little overwhelmed when choosing gifts for me, as I'm the type of person who will go out and buy what I want, whenever I want. So most people don't know what I will already have. But I do love surprises. Well to begin with, I always have a Christmas outfit on which usually consists of a Christmas shirt and my Black Milk Snowflake Leggings. 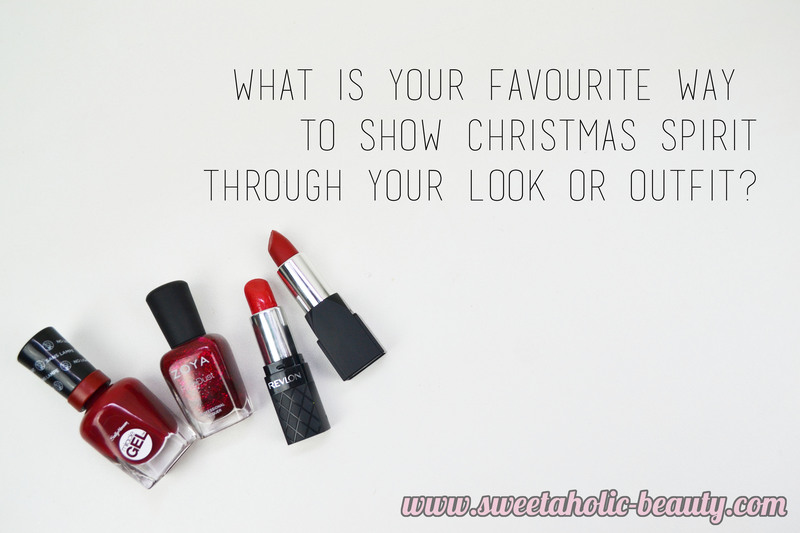 I also am not usually a red lipstick wearer for day to day wear, but during the holidays I will always paint my lips. I also love doing holiday inspired nails. Thanks so much for tagging me Jackie, it was a lot of fun. Make sure you check out her answers here. I'm totally too lazy to tag people, which is why I fail at tags. If you end up doing the tag, feel free to link me to it as I would love to have a read! This tag was actually created by Linda from MissLindapendent; make sure you check out her original post here. 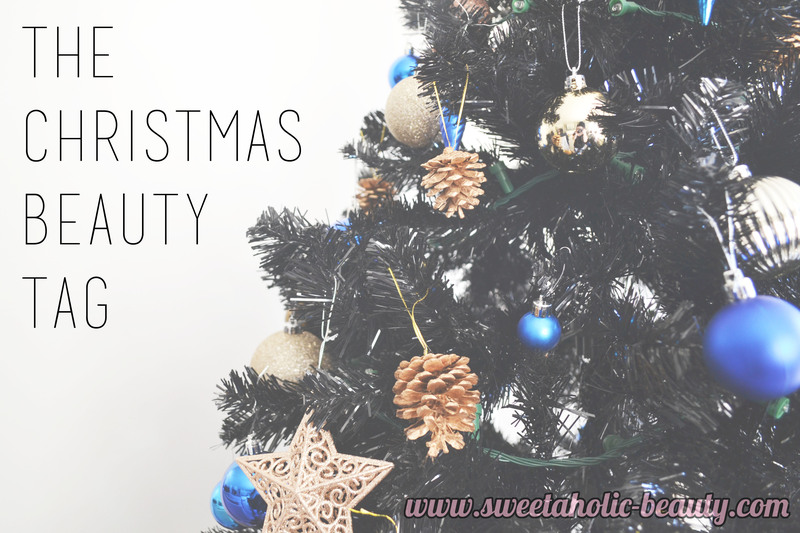 This was a really fun tag to read even though christmas is over, it's always nice hearing more about the face behind blogs. I'm the same with gifts, people often tell me I'm a pain to buy for because whenever I want something and add it to my wish list I'm usually really impatient and I'll end up just buying whatever it is myself!